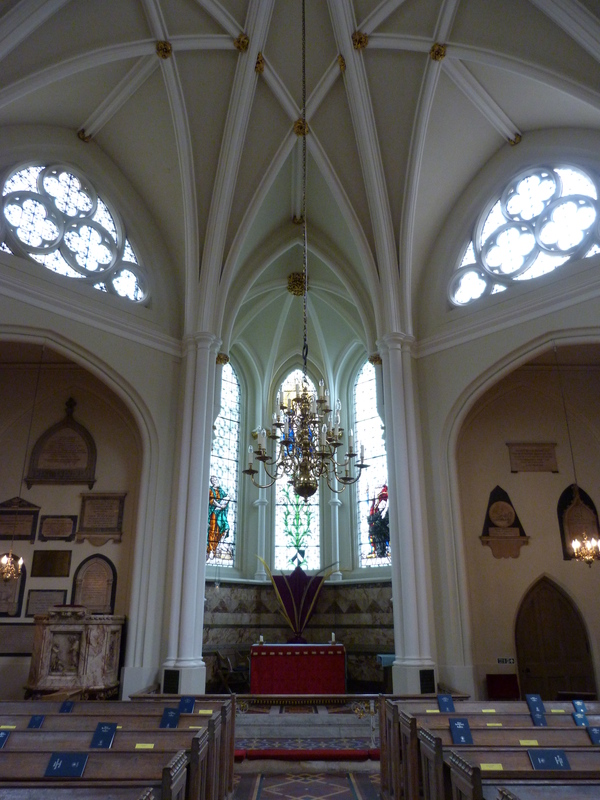 St Bartholomew the Less in West Smithfield was originally founded as one of five chapels attached to the Priory of St Bartholomew in the twelfth century, and added to in the fifteenth, before being dissolved under Henry VIII in the sixteenth, thereafter becoming a parish church. It was undamaged in the Great Fire of 1666, although nonetheless had to be substantially rebuilt by George Dance the Younger between 1789-93, and again by Thomas Hardwick between 1823-5, and restored by his grand-son Philip Hardwick between 1862-3. It was then badly damaged by bombing during the Second World War, and had to be rebuilt yet again, by Lord Mottistone, in 1950-1. 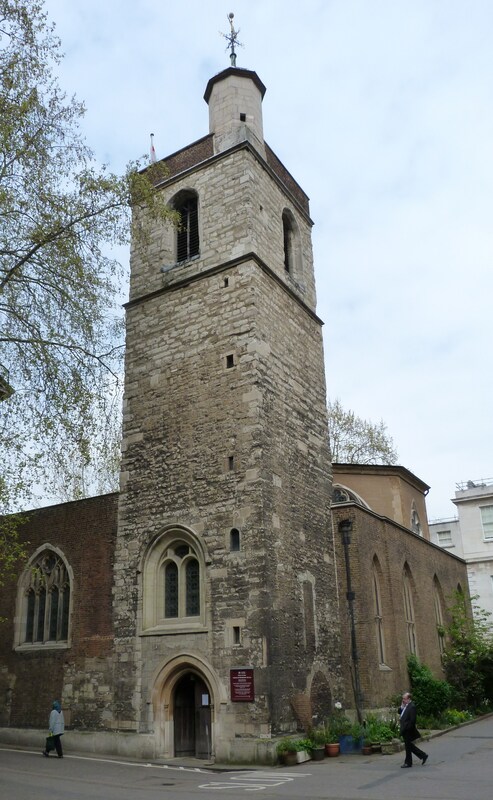 The oldest surviving part of the church is the fifteenth-century tower, located just inside the eighteenth-century Henry VIII Gate leading into St Bartholomew’s Hospital. Inigo Jones was baptised in the church in 1573. This entry was posted in 12th century London, London churches of note outside the City of London, Site is on a Lost City of London Tour on March 1, 2015 by Bob Jones - The Lost City of London. Your photograph of the interior of the church shows it to be an elegant place of worship. How beautiful.